Makahiki became the top 3-year-old in all of Japan on Sunday, winning the Japanese Derby and a ¥200 million check after a photo finish over Satono Diamond. On a glorious afternoon at Tokyo Racecourse, the Deep Impact-sired Makahiki, who went off as the third choice in a full field of 18, held off Satono Diamond by a nose at the wire to capture the second leg in the Japanese triple crown. Dee Majesty, winner of last month’s Satsuki-sho, the first triple crown race, came from behind but fell a half-length short to settle for third. 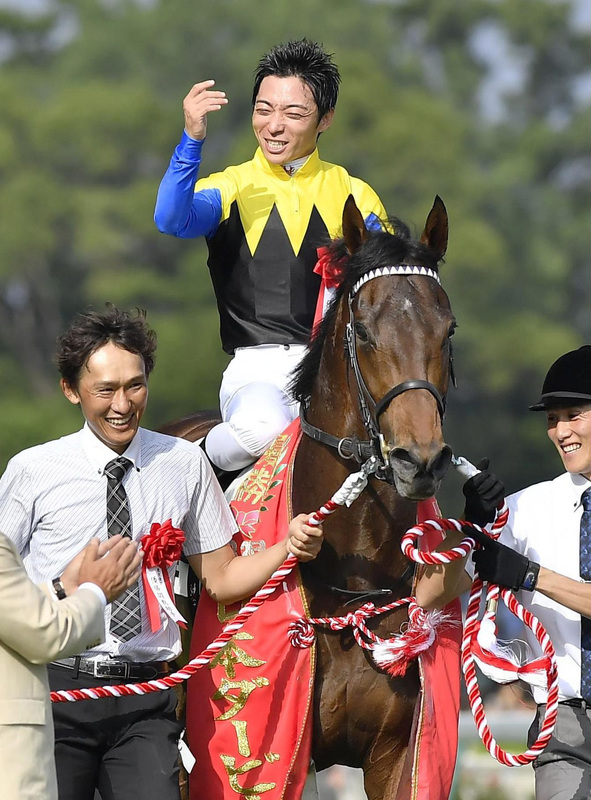 Makahiki clocked 2 minutes, 24.0 seconds over the 2,400 meters as both jockey Yuga Kawada and trainer Yasuo Tomomichi won their first Derby. “The most important thing is I managed to make a Derby winner out of him,” Kawada said of his mount, out of the French Deputy dam Wikiwiki, who is now 4-for-5 with earnings more than ¥360 million. “I thought I’d won it when we crossed the finish, but I was a little worried because it took a while for the photos to come out. When the number ‘3’ appeared on the board, I was overcome with a lot of emotion. Dee Majesty’s trainer Yoshitaka Ninomiya tipped his hat to the Makahiki camp. 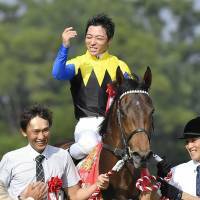 Unlike in the Satsuki-sho when he had to bring up the rear, Kawada — who became the eighth jockey to sweep Japan’s five Classic races — made sure Makahiki made the trip in midfield and unleashed him down the 525-meter straight with Satono Diamond in his sights. Makahiki turned it up with 200 meters remaining, going ahead by the narrowest of margins and holding on past the winning post. Even though the stewards had to review the finish, Satono Diamond’s jockey Christophe Lemaire knew who was heading to the winner’s circle. 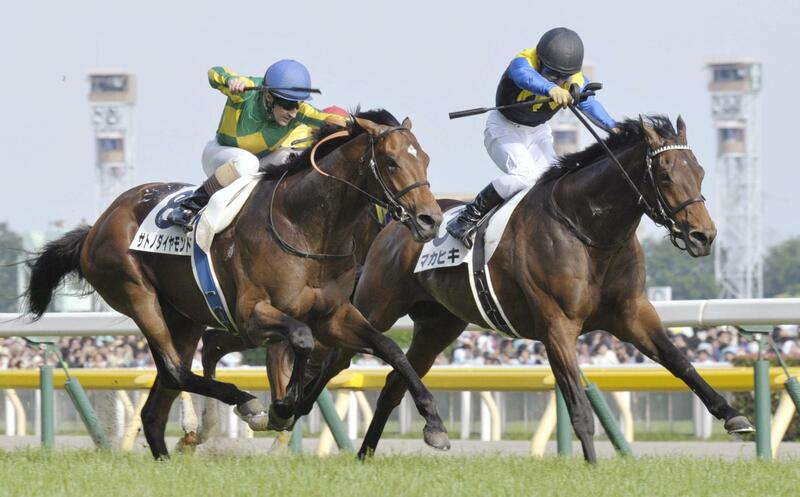 In the fall, Makahiki may skip the third Triple Crown race, the Kikka-sho, and take a shot at the elusive Prix de l’Arc de Triomphe in France. “That’s something for the owner and trainer to decide,” Kawada said. “I just want him to stay healthy. We have a lot to look forward, and it’s exciting. “In the Satsuki Sho, he didn’t get off to a very good start and had to settle for being runner-up and I wanted to do something about it.